In 2013, I planted a Lamb/Hass avocado tree because its fruit was said to be ready for harvest in summer. I didn’t know much else about the variety, and I’d never tasted its fruit (knowingly). During the past five or six years I’ve learned a lot more about Lamb — both from my tree and from other Lambs I’ve seen and eaten from. I share this with you so you can be more informed than I when deciding whether Lamb is a good fit for your yard and avocado needs. The most important consideration is how the fruit eats. Lamb makes for very good eating. On the tree, the Lamb fruit has green skin until it’s mature, usually around May, when the skin turns black. 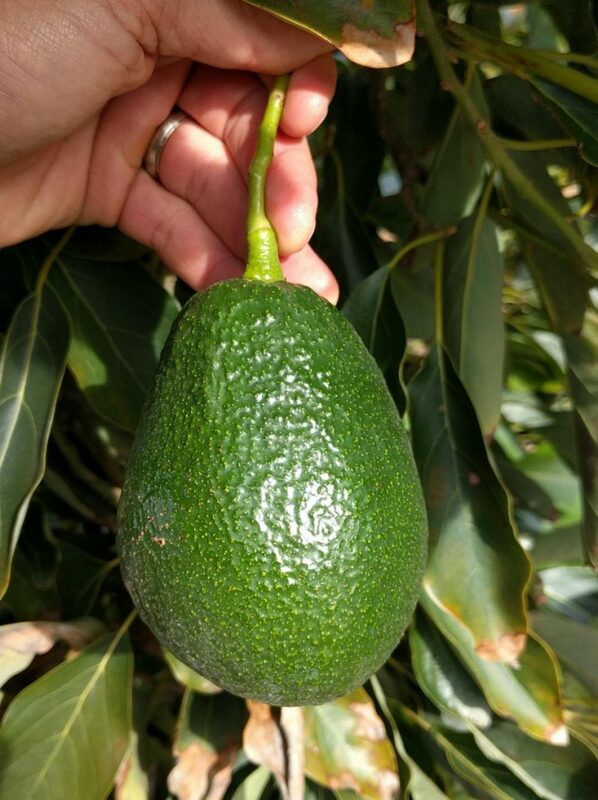 It has a pear shape, often with a more blocky top than other avocados, such as Hass. 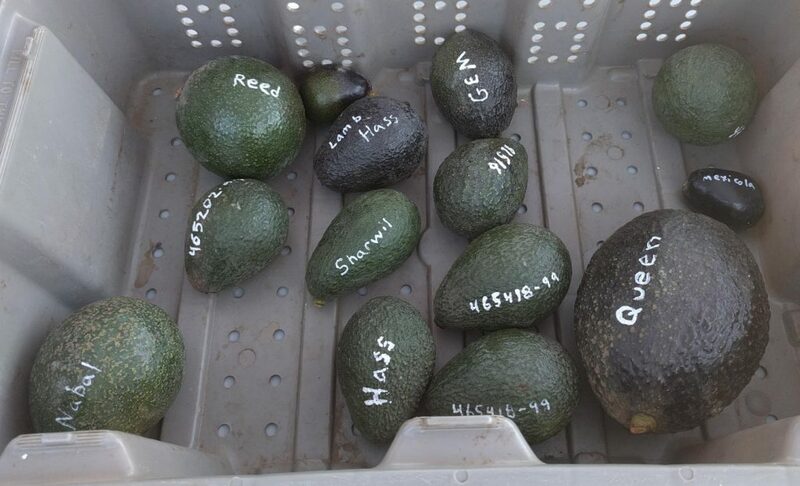 Compare the look of Lamb to other avocado varieties, all picked in August. Cutting the fruit open, you find that the peel is a bit thicker and less pliable than Hass so it doesn’t peel as well. I use a spoon to scoop out my Lamb avocados. But the color of the flesh is optimal, with a rich yellow in the center fading to green toward the peel. The texture is firm and without strings. The seed is medium in size: not tiny like a Pinkerton, nor large like a Bacon. There is plenty of avocado to eat in there. To me, the taste is very good. But taste being subjective, what do others think about Lamb? I’ve heard other people who are very experienced with avocado varieties say Lamb is “good,” “great,” “a really wonderful fruit,” and “equal to Hass.” I personally rate it slightly below Hass though. 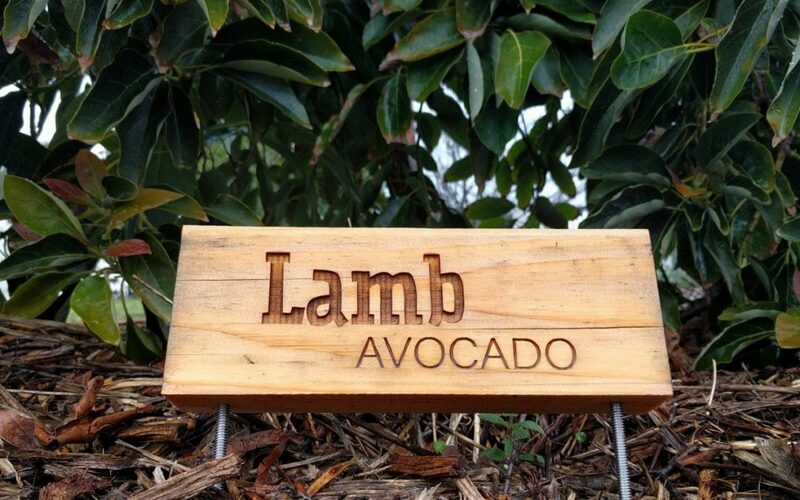 Lamb comes from the University of California’s avocado breeding program and was patented in 1996. That patent is now expired, but it makes for interesting reading. Here is a link to the patent. This makes sense because Lamb is not a Hass, not even half a Hass. Lamb is, according to the patent, an open-pollinated Gwen seedling, meaning that Gwen was its mother and its father is unknown. Gwen was a seedling of Thille, and finally, Thille was a seedling of Hass. So it can be said that Lamb is a great-grandchild of Hass, a very distant relation. That being said, Lamb fruit can be found on the avocado shelf at the grocery store labeled as Hass, or sometimes called Jumbo Hass. You may have bought Lamb avocados thinking they were Hass; it’s very hard to distinguish the two. I bet I ate Lamb fruit from the grocery store unknowingly before I ever ate them from my tree. The seed for Lamb was planted on the ranch of Bob Lamb in Camarillo, hence the name. 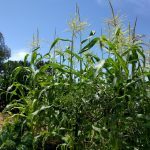 It was one of tens of thousands of seeds planted under the avocado breeding program under the direction of Bob Bergh of U.C. Riverside. Bergh chose to patent the Lamb seedling for many reasons, one of which was the tree’s slender, upright growing shape. Lamb trees can easily be planted only eight or ten feet from another tree. My Lamb, for instance, is planted only 7.5 feet from a Reed avocado tree. Reed on left, Lamb on right. Lamb trees will spread wider than ten feet, but they can be kept to within ten feet easily through yearly pruning. Many people, including myself, appreciate Lamb’s slender growth habit because it allows for growing more trees in a given space. Another thing I like about Lamb is its tolerance to our irrigation water in Southern California. We have high chlorides, which some other avocado varieties have trouble with. Hass doesn’t tolerate these chlorides well. But Lamb doesn’t much mind, and that means that a Lamb tree will look better in the fall and winter because it will have less brown tips. Lamb leaves in late February, when tip burn is worst, with almost no tip burn. In terms of heat and cold, I’ve found Lamb to also be possibly tougher than Hass. In the extreme heat of July 2018, when my yard peaked at 117 degrees, my Hass lost all of its fruit while my Lamb retained much of its crop. 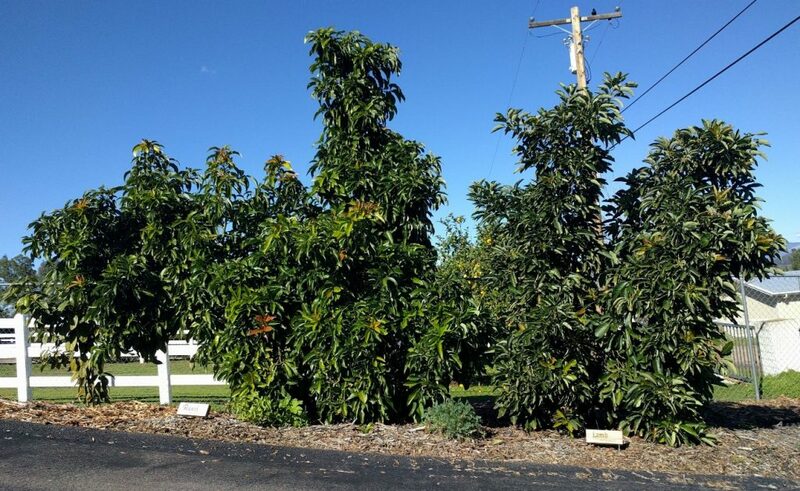 Both trees had similarly sized fruit and were irrigated the same. During cold winter nights, my Hass has always experienced a bit more damage than my Lamb. But I make no hard conclusions based on my single trees in a single location. I have heard others say they find no difference between the heat and cold tolerance of Hass versus Lamb. Lamb fruits a lot and it fruits early, and I’ve never seen nor heard of a Lamb tree that is unsatisfactory in its bearing habit. 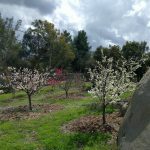 My tree in particular set its first crop in its second spring after planting, then providing six fruit to eat at harvest in 2016 (its third year in the ground). The tree was planted from a five-gallon container. In it’s fourth year, it set 68 avocados. Alas, in the tree’s fifth year it barely flowered and set nothing. I’ve seen a few other Lamb trees alternate bear like this. All avocado varieties do this to a degree. It is often claimed that Lamb produces more than Hass. In fact, in the Lamb patent it is claimed that Lamb consistently yields 50% more than Hass. This can’t be counted on for a single tree in a backyard, however. For example, my own Lamb and Hass trees of the same age have seen the Hass produce more. On the other hand, one way in which Lamb is certainly superior to Hass and many other varieties is that it sets its fruit on the interior of the canopy, protected by many leaves. The fruit ends up with no sunburn and good cold protection as well. Lamb fruit held inside canopy. Lamb avocados need to grow for a year to a year and a half before they’re ready for harvest. In other words, if the tree flowers in April, then the very earliest that the fruit will be ready to pick is the following April or May, but it will taste better if left until sometime in the summer. This is a longer maturation time than some other varieties, such as Fuerte or Hass. And it can be confusing because the fruit looks big and ready to pick even in the winter. Yet, similar to varieties such as Reed or Holiday, it must be left on the tree long after it is up to size in order for the flavor to develop. An easy way to tell when Lamb fruit is ready to pick is by skin color: if it’s black it’s ready. Lamb fruit in late winter: up to size but not mature. One unfortunate drawback to this later harvest season is that if you want to prune the tree, you don’t have a convenient window of time to do so. No matter when you prune, you sacrifice fruit. If you prune in the winter or early spring, you sacrifice immature fruit. If you prune in summer or fall, you sacrifice branches that would flower the following spring — and new branches that grow only starting in summer or fall won’t be mature enough to flower the following spring. Another unfortunate aspect to Lamb’s later harvest season is related to its juvenile habit of shedding fruit as the weather warms in spring. You’ll have a young Lamb tree with a crop of twenty avocados, and then in March as the tree begins to flower it also drops fruit. Not all drop, but some do, and it’s disheartening. Take heart: the tree does this less as it ages and it hurts less because the bigger tree carries a lot more fruit. Summarizing the harvest season for Lamb, it starts around May in southern Southern California and starts a couple months later up near San Luis Obispo. I’m in inland San Diego County, and my Lamb fruits have tasted good as early as early May. Lamb has great hang time, as they say. So the harvest season doesn’t end until sometime in fall for me. September fruit still taste great from my tree. In comparison, Lamb hangs a couple months longer than Hass in my yard, and even longer than Reed. I’ve heard of people in locations with milder summer temperatures or farther north holding their Lamb fruit almost until Christmas. But personally, I consider the prime Lamb season as June through September in my yard. Is Lamb a fit for your yard? Which yards and situations would a Lamb tree suit? I wouldn’t plant Lamb as my one and only avocado tree. I would plant Hass as my one and only. Then I would prune it to keep it to the size allocated in my yard. But if you don’t want to do much pruning, you could plant a Lamb and it would stay naturally smaller. 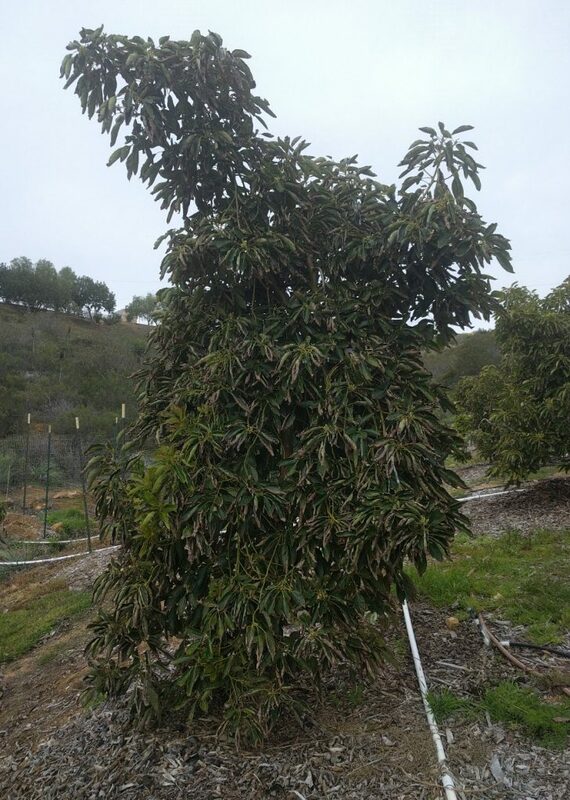 A Lamb avocado tree in a friend’s yard, again showing the slender, upright growth habit. Lamb could also serve as a companion tree to Hass. The harvest seasons are different enough (Hass being earlier) that the two trees could provide delicious avocados for most months of the year. While true that both trees are A-flower types, and therefore don’t offer maximum cross-pollination opportunities, I wouldn’t pay that any mind. My Lamb has fruited well without a B-type anywhere nearby (as has my Hass), and this “self-fruitful” bearing habit has also been observed by many others. Lamb would also be a good companion for Fuerte or Pinkerton or Bacon. Lamb would not be a good companion for Holiday or Reed, however, as the harvest seasons are too similar. Wait, didn’t I plant both a Lamb and Reed? Yes, but I have space and, OK I’ll admit it, a bit of an avocado problem. 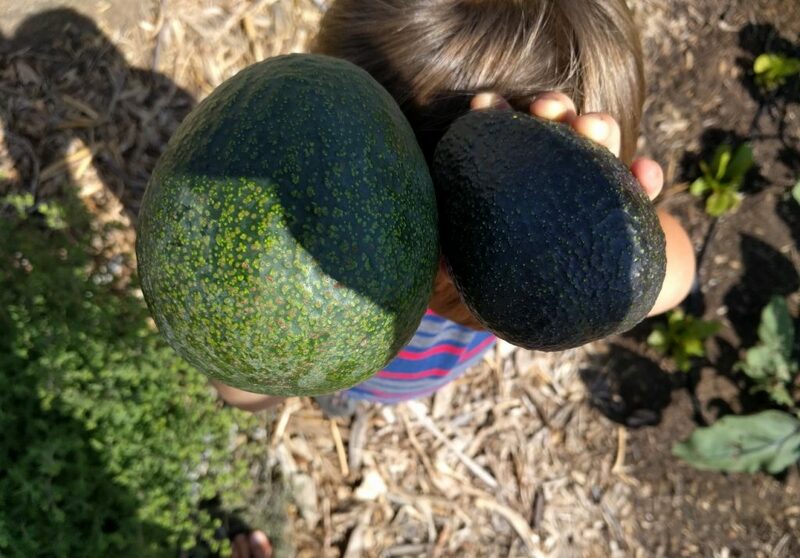 Reed and Lamb avocados picked in June 2017. Another great post. I’ve been watching Gary Matsuoka of Laguna Hills nursery on planting avocado, subtropical and tropical fruit tree. He said that the best soil to grow these are in sandy soil like decomposed granite. 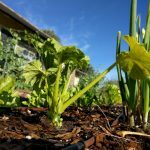 The worst thing you can do is putting compost in the soil. Do you generally agree with him? 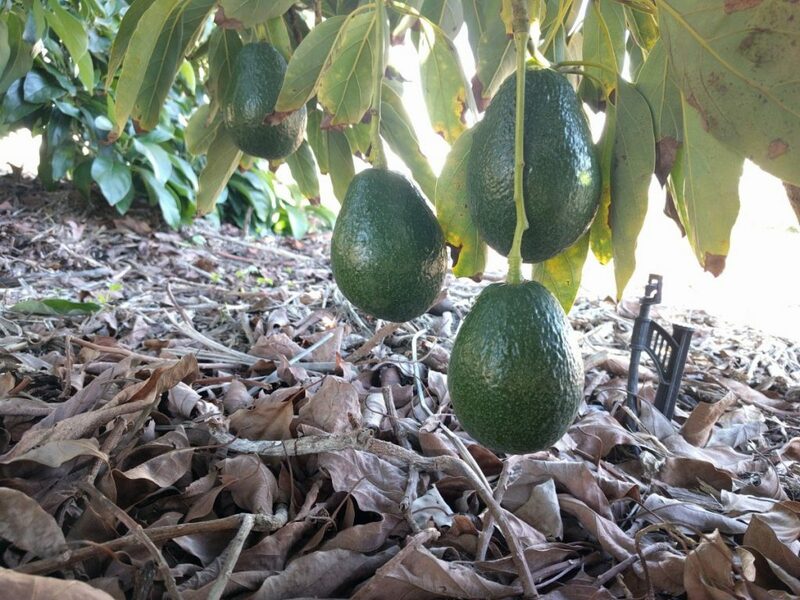 As for avocados in particular, they do grow well in sandy soil. They can grow well in other soil types too though. 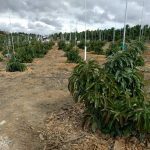 Much depends on the drainage in the area, in addition to the attention given to irrigation, since avocados are susceptible to both underwatering and root rot. They are the hardest trees to water properly in my experience. You can’t just set a timer and walk away from your avocado tree. You have to get to know your soil through frequently feeling the moisture in it — or get lucky. I agree that there’s no need to put compost in the planting hole of an avocado tree (or any other tree), and it is a dangerous practice too. The main reason for this is that compost continues to break down and this will cause your tree to sink over the years — depending on how much is put in the hole. If you put in a lot, then you are, in effect, planting your tree below the grade of the surrounding soil, which is especially dangerous if your soil doesn’t drain rapidly. Water will sit around the trunk for extended periods. 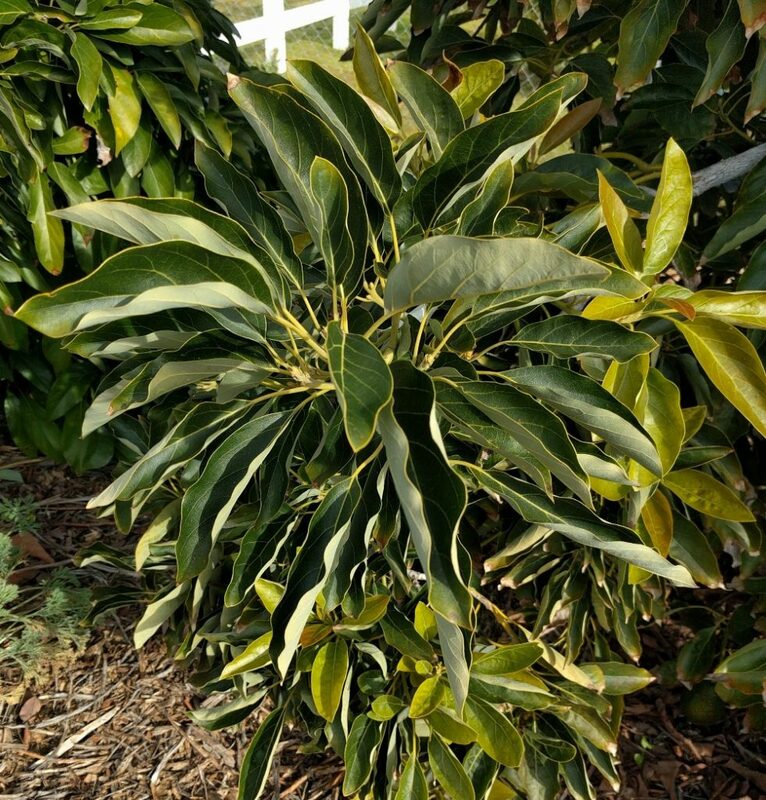 In a winter like this, where there has been a long stretch of cool and rainy weeks, you would be running the risk of drowning your avocado tree and/or inviting the proliferation of root or crown rot organisms. great detailed read! if you have a carmen, i would love to hear what you have experienced with it in the future. Check! I’ll plan a similar profile of Carmen. It may have to wait a bit though because my own Carmen tree is small. Though I have secondhand experience through observing Carmen trees in other yards and farms, I’d like to write a detailed profile only after I’ve closely observed one in my own yard for enough years. But since Carmen is just a Hass with a couple quirks, maybe I’ll be able to write it sooner. Thank you, Juan. Glad you liked the video. I wasn’t sure if it was redundant or superficial or what. I really like your combination of Lamb, Fuerte, and Hass. You should ultimately get top notch avocados almost every month of the year from those three trees. I planted a 5 gallon Lamb/Hass about 4 years ago. It hasn’t done much. Part of the issue I think is the location and soil. Last year it set 2 fruit and I was wondering when to pick them and now I know thanks to your article. It is interesting how they planted lots of trees and selected the Lamb to patent. In 2005 I got a great tasting avocado and I planted the seed in a glass of water. It grew into a nice plant. I planted it outside and it took off. It fruited in about 4 years. I named it after myself “Cadway Cado”. It has a medium skin a little less bumpy than a Hass. Great flesh color and holds color longer after cutting than a Fuerte or Hass. Medium size. Average pit except those fertilized by my Mexicola Grande have large seeds, and tastes better than a Hass. The tree grows vertically as the Lamb and is more vigorous than the Hass. I was thinking of sharing the budwood and was wondering what you would suggest. The Cadway sounds like a winner! I would contact the folks at your local chapter of the California Rare Fruit Growers or post about it at Tropical Fruit Forum. At those places you’ll find lots of enthusiastic people who love to try out new varieties and can also give good feedback. If you get the chance, send a couple photos of the tree and fruit my way. I’d love to see them. All of my success with stone fruits and other trees seems to have been offset by my attempts at planting avocados. Right now I’ve got a tiny sir prize, a bushy but small edranol, a leafless Charlie Brown Christmas tree nabal, and a 5 foot tall lamb hass. There were probably at least 6 fatalities to get to this point. That same July just about killed my nabal and did kill a sir prize. The lamb has held on but lost a lot of leaves while the edranol seemed to thrive, at least as compared to the others. I have to concur that the lamb hass leaves seem to do better with our San Diego water, though. The lh was put in back in 2015 and along with my other avocados hasn’t really seemed to grow like other types of trees I’ve planted. 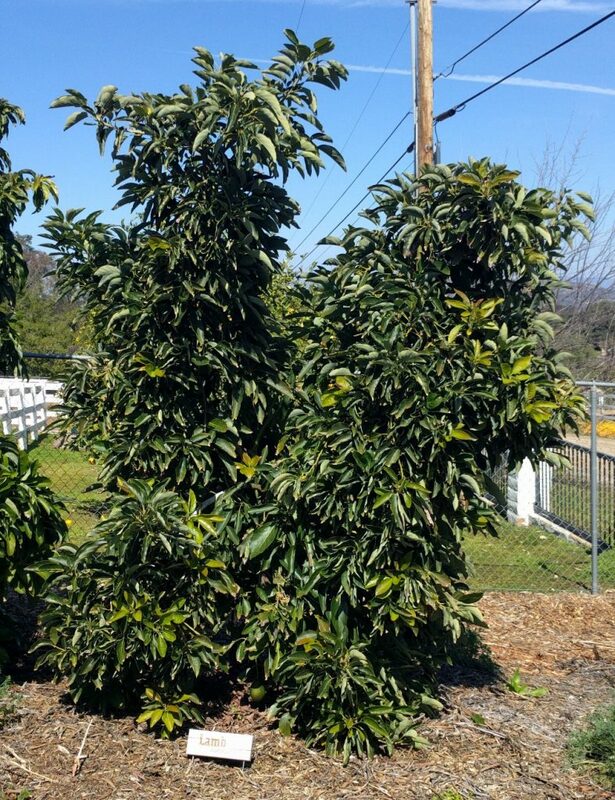 I’ve got a mango tree that’s grown more than any avocado I’ve got here and for that matter my coffee tree is almost taller than the lh tree and they’re planted close to each other so have the same growing conditions. My suspicion for my difficulties is that I’ve got some pretty dense plantings going on over here and they’re all robbing each other and the avocados are the ones suffering, however, I persist and am hopeful that I will have some avocados in 18 months from one of the trees. I chose these four varieties in the hopes of year round avocados. I send my best luck your way. I have a good feeling about this year for avocados. We’ve got all the rain we could ask for, and the summer just can’t be as nasty as last summer (right?!). This is a hopeful season right now, too, since the trees are starting to bloom. Thank you Greg. I appreciate the thoughts of a Lamb and Haas for my garden. I have a few questions regarding my two hass avocado trees. They are both mature trees that have been historically underwatered. I live in pacific beach in san diego. One has a 40′ canopy and another with a 10′ canopy. The smaller tree in the south has drooping leaves and was planted in slow draining soil not really on a mound. My first question. We accidently got the 2″ specialty mulch instead of the coarse mulch from the miramar landfill. Would this more compact mulch make any difference in terms of aeration for the ecosystem that needs to live under the mulch? Also, with the smaller tree that has drooping leaves in the back. Would it be beneficial to dig up the clay soil and add some beach sand to it to help remove the water away from the soil surface? This tree produced about 20 avocados without really being watered very much historically. I’m confused about the growth of new red leaves on a tree with drooping leaves on it. I have only watered the trees twice since the mulch was added and both trees responded well to the mulch. Thank you for creating this website and the information you share. Thanks for writing. I wouldn’t dig up your soil, nor add beach sand. It sounds like your tree with drooping leaves might be suffering from soil saturation during this wet February. All might improve as the soil dries and warms, and the fact that you have new red leaves is a good sign. The mulch you’ve added is great. The 2″ mulch is acceptable; it’s just that the coarser stuff is better in a couple ways. Next chance, add some of the coarser stuff. This is curious. I’ve never known an avocado tree to produce significantly different fruit as it ages. Can you be sure that rootstock has not grown up and is now producing this watery and tasteless fruit? That would be my first guess. I am in Bakersfield looking to buy a Lamb. Any nursery recommendations anywhere in LA/OC or Central CA that has them regularly? Thanks! This post is great. I can’t say I know of anywhere in those areas that carries Lamb regularly, but I do know that Armstrong Garden Centers sometimes have them. 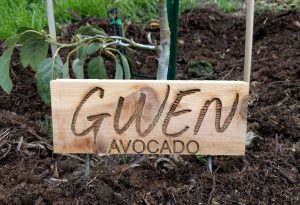 See my post “Where to buy an avocado tree” for more ideas. For example, you might be able to get one through Home Depot or Lowe’s even if they don’t regularly stock them. And you can definitely have Four Winds Growers ship you one. My lamb hass (3-4 ft) for some reasons like to stay small, not just 1 but all 3. My oldest lamb is the same age as your in the ground and produces like 40 avocado during harvest time. Most of the fruits sit on the ground. I am not complaining for I think the phenomenon is pretty cool. On the down side, my Lamb can’t take the heat. That 1 year when we had a heat wave (San Jose, CA) 110- 112 F, 80-90% of the fruits dropped. I think it might be a watering issue. Ever since, when ever the temperature reach 97 F, I would go out before noon to spray the tree and the surrounding mulch with lot of water. I am so impressed with the fruiting, I planted three 15 gal lamb (5-6ft) late Fall 2018. Not sure if I want to let them hold any fruit though.